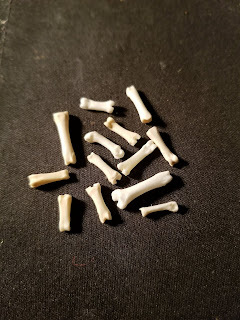 I little while I go I started feeling a nudge to create my own divination system with bones. I was driving home and the idea came to me, and I tried to push it aside because it seemed too complicated for me to take on right now, but the idea just kept lingering. I kept getting the idea of using rabbit bones* for this purpose and it just wouldn't go from my mind. 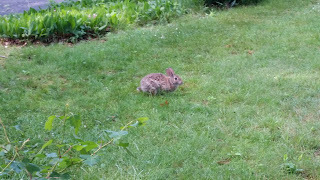 I finally asked for some kind of omen and as I crested a hill a wild rabbit hopped into the road in front of me; I slowed and the rabbit looked right at me before slowly hopping back the way he'd come. My feeling with this was that he was trying to get my attention, but I wasn't totally clear on the purpose so I risked asking for clarification - and turned a corner only to have a second wild rabbit run next to my car in someone's yard for about 30 feet before breaking off. To me this was a definitive sign that I should pursue this new divination method, even though I was very uncertain about how it would actually work. I took a leap of faith and started moving forward with the project. 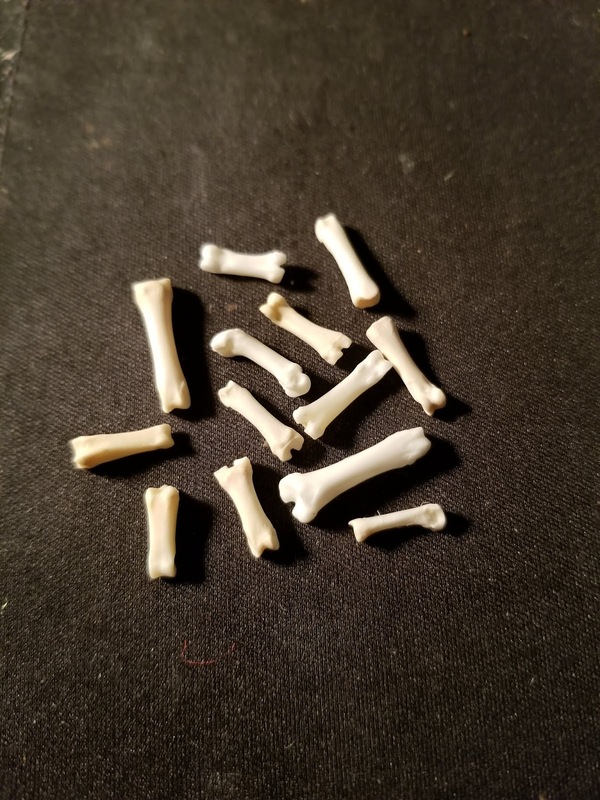 I got a selection of small rabbit bones (from the feet) and I put them on my altar. I sat with them and meditated on how this should functionally work. My feeling was that it would be a system involving throwing bones down on a cloth, but nothing else was really coming to me for it. I decided that a good approach would be to ask for a bit of assistance. Tell me what I need to know"
Each line, to me, represents a specific possible answer to a person's future although I also think this charm could have other uses**. What I gained from this was the idea to use thirteen bones and throw them down onto a small cloth marked with a circle and then look at how they fall and how many fall within the circle. I will chant the charm before I throw the bones. Meditating on this later today I also got the impression to burn one side of each bone, so that one side would be dark and the other plain. This could be used for yes/no questions or other points where clarification is needed as well as to indicate the overall tone of a result. *I am using roadkill bones for this purpose. My general preference with bones is to use those that are found rather than, shall we say, otherwise acquired. Yes Yes Yes! I cannot tell you how much I love this post! I am the same - about animal messages, as well as my bone divination systems. Many folks use a few bones with other objects. Not me. Way back when - they wouldn't have originally added trinkets - they would have used all the bones of an animal. I do not have access to many rabbits, but possum are always roadkill here in Louisiana. My newest set it coming together nicely! Thank you so much for sharing your story with us. Amazing!! What is the shape of the ankle bone? We/I use either the ankle bones from a kid/lamb which have been cleaned. There are four sides (and we use the 4 bones from 1 animal). Each side is different. There are a number of different ways these can be read. you can also be lead to your own meanings. I think that it's wonderful that you have been led to creating your own divination tools.